Marijuana (cannabis, weed, marihuana) is not legal in Peru. The Peruvian Penal Code, however, does allow some leeway in terms of the possession of marijuana for personal use. Importantly, Article 299 goes on to state that the possession of two or more types of drugs is a punishable offense (regardless of quantity). So, even if you are in possession of much less than the maximum eight grams of marijuana, you can still get into trouble if you're carrying any other type of illegal drug, no matter the quantity. A person carrying, for example, one joint and one ecstasy pill could, in theory, find himself arrested as a drug dealer with a potential sentence of years. The reality of marijuana possession in Peru goes far beyond the nation’s penal code. 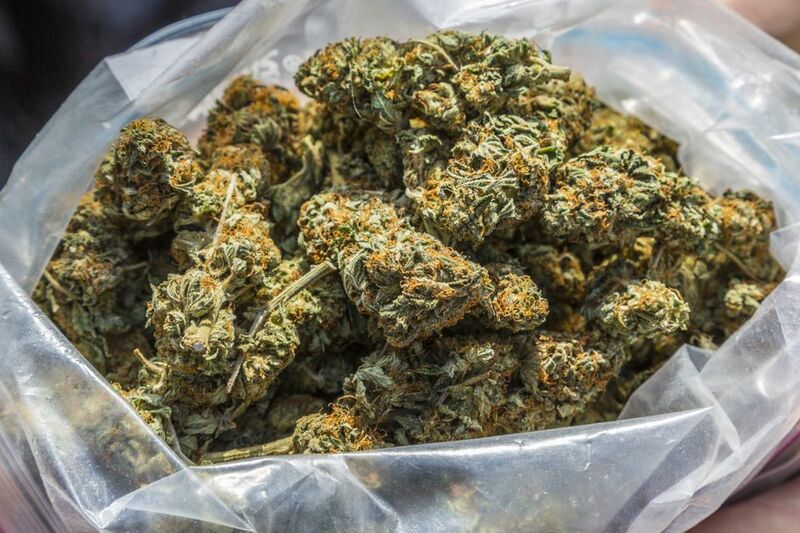 If you are caught in possession of two grams of marijuana (well below the non-punishable maximum), don’t expect to walk away without any problems. The police in Peru, including the serenazgo, see drug possession as a crime, regardless of the laws of possession. If they think you are a drug dealer, you could find yourself in a cell for a few days. If a corrupt police officer stops you, those two grams could easily turn into a total nightmare. As a rule, buying and possessing marijuana in Peru is a risk and one you should consider avoiding, especially if you're not familiar with the local culture and local systems. Carrying eight grams or less may be legal according to Article 299, but the reality can be far more severe. If you do get into trouble for carrying a legal amount for personal use, you could try seeking help from your embassy in Peru or perhaps the Peruvian tourist police. How much help you'll actually receive is another question entirely. If you're going to smoke weed in Peru, keep in mind that the level of tolerance for marijuana and local opinions of marijuana smokers might be significantly different than in your own country. Marijuana usage in Peru (especially outside the major cities) is nowhere near as open or accepted as it is in parts of Europe and the USA. Some Peruvians see all drugs in the same way, no matter whether they are soft or hard drugs. Open cannabis usage can, therefore, provoke some extreme reactions, so discretion is always a good idea. You will occasionally see Peruvians smoking weed in the street and in bars and clubs. Don't assume that this is OK with everyone around you (and remember that some dubious police officials might jump at the chance to arrest a foreign tourist). If you want to buy some weed in Peru, be careful. Obviously, it's always best to buy less than eight grams of marijuana, as anything over that is officially illegal. Beyond the quantity, be particularly careful with who and where you make the purchase. You could be the tourist that heads off with a self-proclaimed cannabis dealer, only to come back with no wallet, no passport, and no weed. Never go anywhere alone to buy marijuana; take at least one friend or, ideally, make your purchase in a place where you can't be easily mugged. If someone wants you to go down an alleyway, get into a car, or go to an apartment, be very cautious indeed, especially if it's someone you've only just met.